Cassian's transparent blades are designed to seamlessly merge with your home decor. Tts five uniquely crafted blades and elegantly trimmed in aluminium fan out gorgeously to spread air discretely to its surroundings. Thanks to blade design and efficient motor, Cassian gives you whisper quiet operation. Specially designed five transparent blades in high density polypropylene, with elegant aluminium trim, spread air consistently all around its space and surroundings. Its five blades make the air flow more smoothly and quietly to create a more pleasing environment, operating at 53 Dolby. 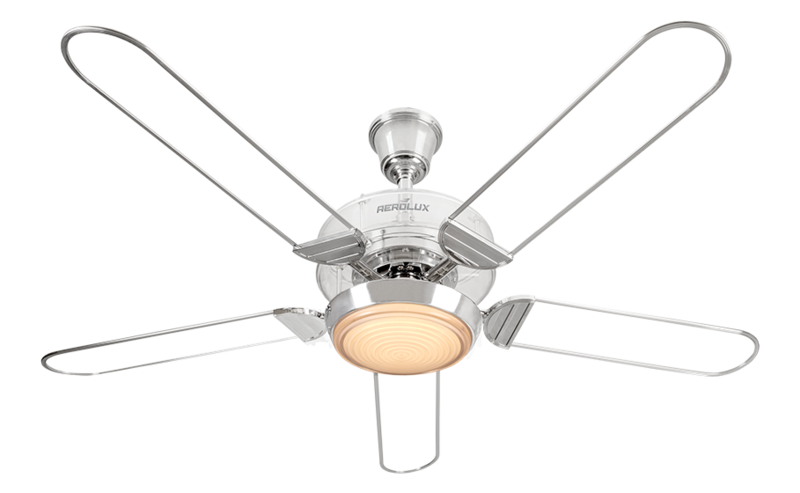 To keep your experience pleasant the advanced motor, along with the smooth movement of its five blades makes the fan whisper quiet, reducing ambient noise in your treasured space, by operating just 53 Dolby. Measuring 52 inches in sweep size, the five clear blades fan out with magnanimous beauty. The robust build quality of our advanced motor inspires us to provide you a 10 ear warranty.